Enjoy this post? Vote for me for Top Blog Contest! How? Leave a comment on this post. It has been a while since I posted about my search for portable ballet barres (here’s Part 1 and Part 2), so I thought I’d do an update. Full Disclosure: I am not being compensated by VitaVibe or Ballet Barre Store. I just purchased the barres for my studio and am sharing my experience in hopes that it helps others! Since my original purchase in January 2011, I have purchased a second barre from the Ballet Barre Store, so we have one barre at each location in current use. Both barres arrived fairly quickly (about a week or two) and were very easy to assemble. The first one, my husband helped with and the second one I put together all by myself. Side note-that-should-be-common-sense-but-I-didn’t-think-about: An 8-foot barre will come in a box that is.. wait for it.. 8 feet long. Make sure if you need to move it in your vehicle that it will fit. It was a close one in my little car! 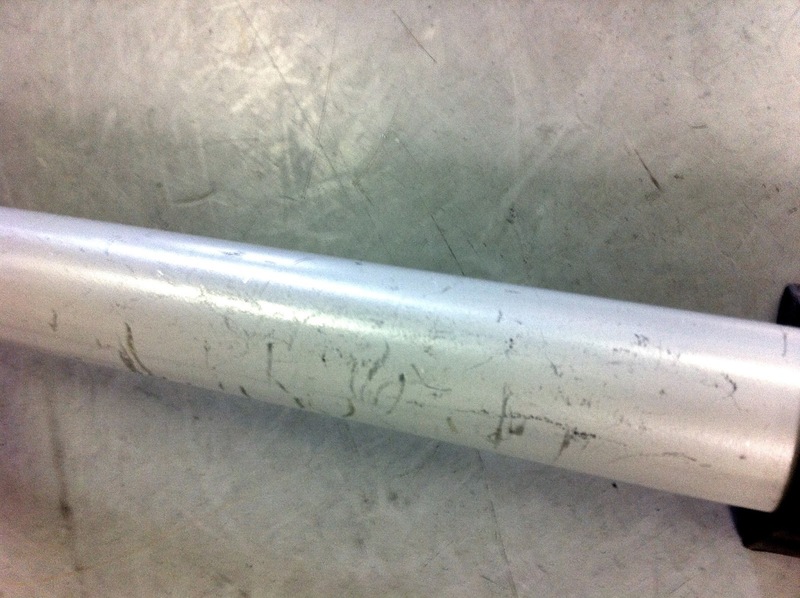 Both times I purchased the “BD96” – an 8-foot double barre from their “Prodigy Series“. 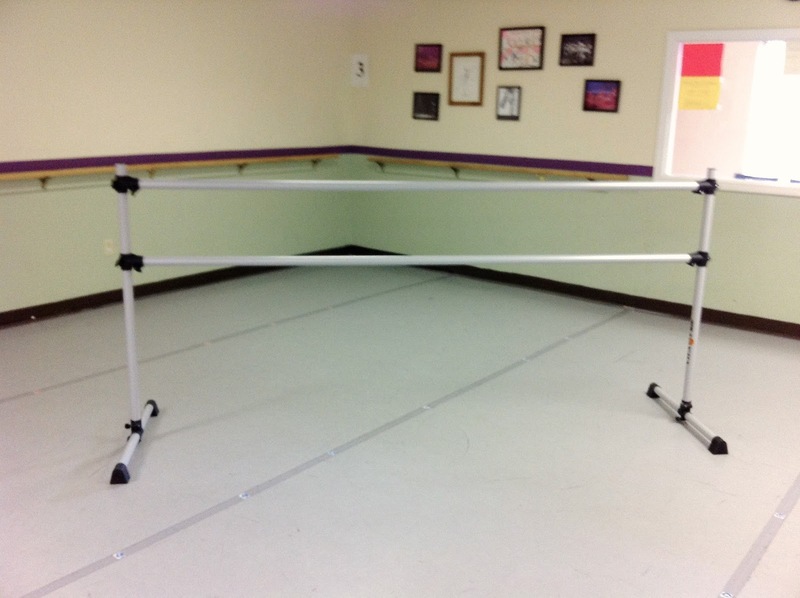 I chose these over their heavier-weight line because we have wall barres and don’t use our portable barres that often. The cost of the Prodigy series is also half that of the Professional series. 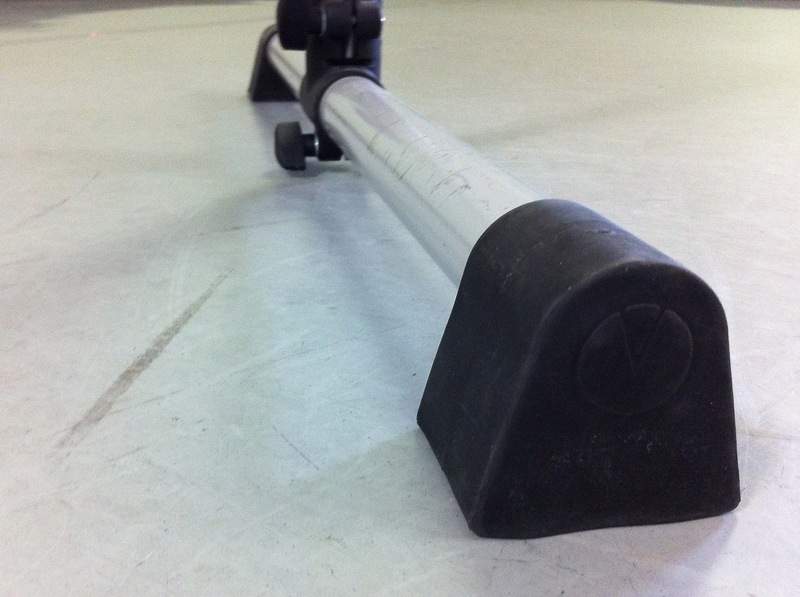 Each barre is lightweight, easy to move around and very easy to keep clean. I can’t attest to the “antimicrobial properties” of the aluminum coating, but the barres are very smooth to the touch and we wipe them down with Clorox wipes after use. With the 8-foot barre, we can fit a maximum of two teen students on a side, but its much more comfortable with just one, especially if they’re using the barre for a leg stretch. With the littles, maximum of three littles (two on one side and one on the other). 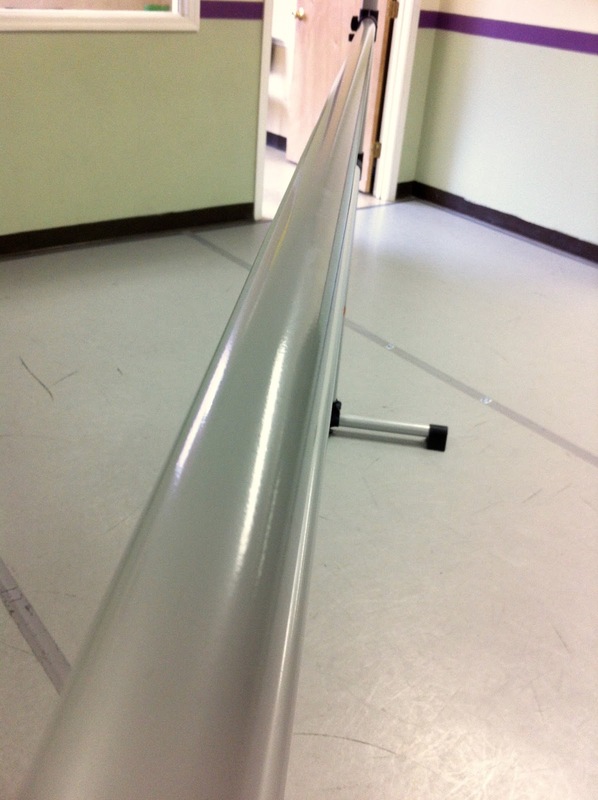 Lightweight aluminum means they are easy to transport to the middle of the floor or to another room as necessary – my students no longer complain about moving the barres! Easy to assemble and adjust as needed – and the Ballet Barre Store sells parts a la carte if anything were to break or you wanted to make your single barre into a double. Has stayed much cleaner than the wood barres. It doesn’t get that “grubby” feeling… and no more splinters! This is the bottom part of the barre, where you can see the only visible scratches. They are from little tappers experimenting with how tap shoes sound on an aluminum barre! 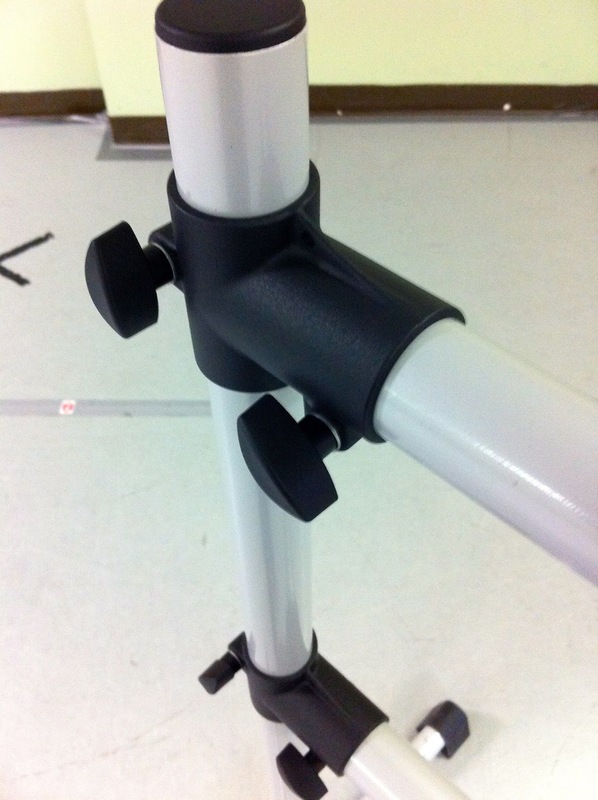 The feet of the barre are covered in rubber, which means no more scratched marley – yay! The company gives a 10 year warranty on all of their barres. The only downside to these aluminum barres is that the barre is sometimes too lightweight and feels like it could be pushed over. While this forces the students to be more conscientious about not leaning or relying too much on the barre, it makes me a bit nervous that they if they ever actually do lose their balance, a big grab might knock the barre over. So far it has not happened, but it just doesn’t have the sturdy feeling that our older (and much heavier) wooden or metal barres do. Heck, the ones we used in college were made of some sort of heavy piping that took 2 – 3 of us to even get it to budge! Yes – overall, the pros definitely outweigh the cons. However, next time I might be tempted to try the Professional series, which is made out of a bit thicker aluminum, which might add enough heft to counteract how light they are to move. I like the ballet barres from a company called Dinamica Ballet: http://www.dinamicaballet.com/en/. Now I am looking for a portable ballet barre and I think I will try to buy their model “maurice”.